It is a chilly morning in the habitat. Very unusual for early September. The bumble bees are out, but they are tucked into the flowers until it warms up a bit more. The cottonwood tree is already starting to show fall color with yellow leaves. Sunflower heads are drooping, full of seeds that are attracting goldfinch. 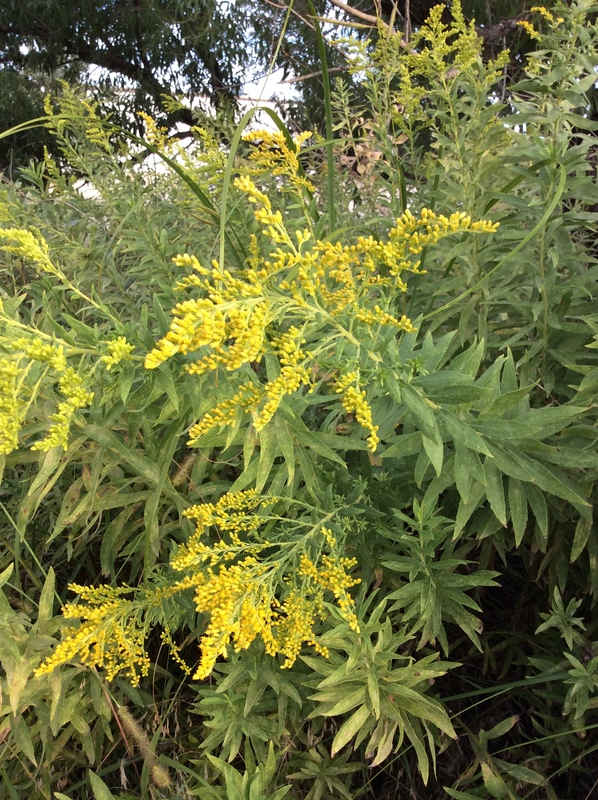 Our goldenrod is just starting to bloom and soon the asters will be too. 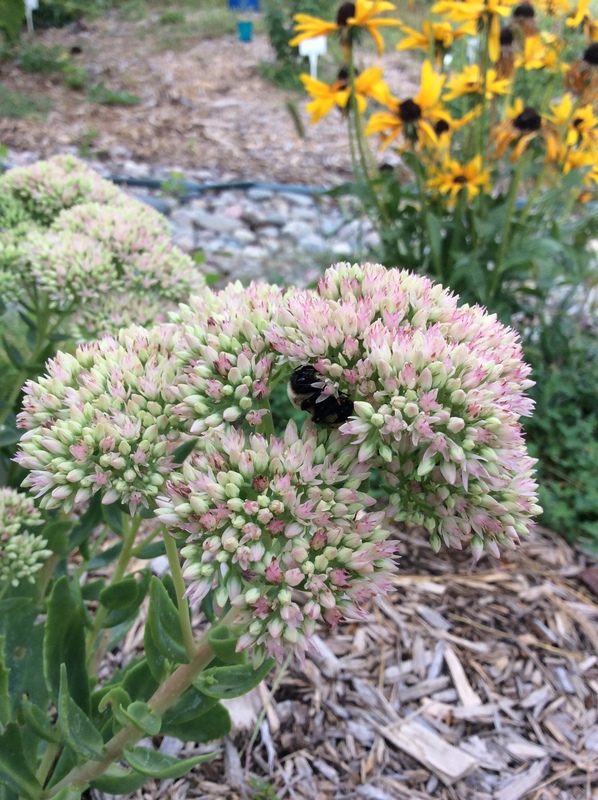 Bumble bee tucked into sedum flower. 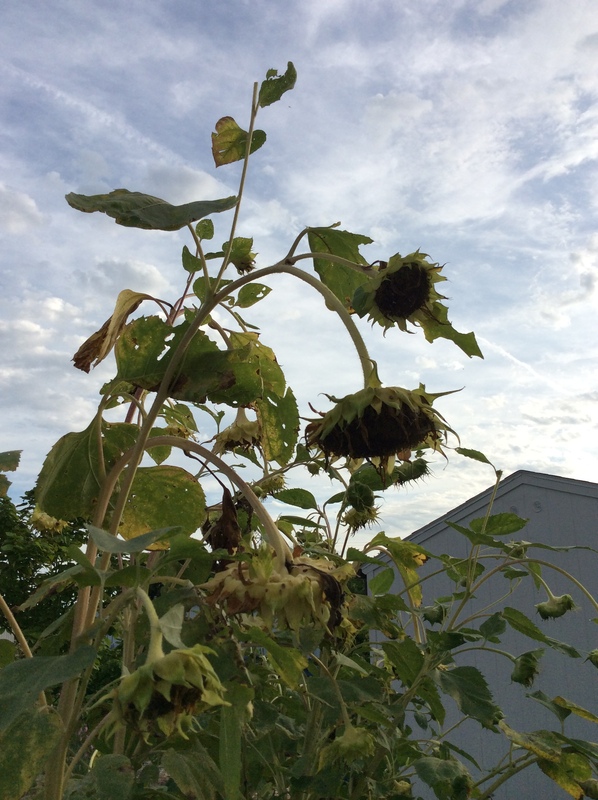 Sunflower heads are drooping and heavy with seeds. 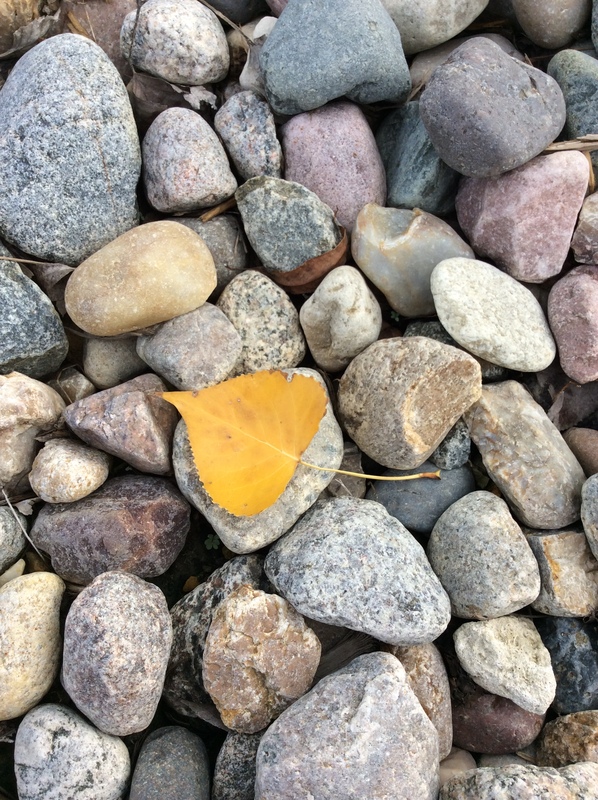 Cottonwood leaves turning beautiful yellow fall color. Goldenrod in the Cherry Creek habitat. We have seen less activity around the bee house and are contributing that to the shorter day length. Gary, our Unit leader likes statistics and percentages. He wanted to know what percentage of our bee house was filled. We had an estimate, but today I decided to find out. After lots of counting, I concluded we had 21 percent occupancy in our bee house this year. That is rather impressive for our first year habitat.